10 AM - CLUBHOUSE AT THE MARKET HOUSE Session #1 Open to ages 4, 5, & 6. Based on MHT's PlayTime interactive performance series - this acting class for young performers creates a secret handshake, learns the sign for the Word of the Day, and then acts out a story unlocked from the Rainbow Storybook. A different story each week! Theatre games add to the fun. Led by MHT's Education Director, April Cochran. August 26 - Sept. 30. 50 minute sessions. Class fee is $35 for the 6 Saturdays session. Class size limited to 16. 11 AM - CLUBHOUSE AT THE MARKET HOUSE Session #1 Open to ages 4, 5, & 6. Based on MHT's PlayTime interactive performance series - this acting class for young performers creates a secret handshake, learns the sign for the Word of the Day, and then acts out a story unlocked from the Rainbow Storybook. A different story each week! Theatre games add to the fun. Led by MHT's Education Director, April Cochran. August 26 - Sept. 30. 50 minute sessions. Class fee is $35 for the 6 Saturdays session. (Content is the same as the 10 AM class) Class size limited to 16. 10 AM - CLUBHOUSE AT THE MARKET HOUSE Session #2 Open to ages 4, 5, & 6. Based on MHT's PlayTime interactive performance series - this acting class for young performers creates a secret handshake, learns the sign for the Word of the Day, and then acts out a story unlocked from the Rainbow Storybook. A different story each week! Theatre games add to the fun. Led by MHT's Education Director, April Cochran. October 14 - November 18. 50 minute sessions. Class fee is $35 for the 6 Saturdays session. Class size limited to 16. 10 AM - CLUBHOUSE AT THE MARKET HOUSE Session #2 Open to ages 4, 5, & 6. Based on MHT's PlayTime interactive performance series - this acting class for young performers creates a secret handshake, learns the sign for the Word of the Day, and then acts out a story unlocked from the Rainbow Storybook. A different story each week! Theatre games add to the fun. Led by MHT's Education Director, April Cochran. October 14 - November 18. 50 minute sessions. Class fee is $35 for the 6 Saturdays session. (Content is the same as the 10 AM class) Class size limited to 16. 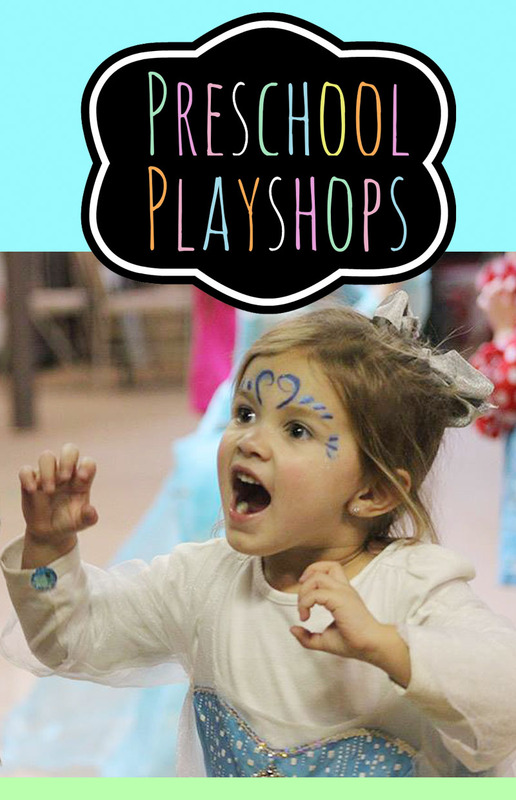 Market House Theatre staff is also available to come to your preschool or daycare setting to provide engaging creative drama sessions! Contact Education Director April Cochran for details.